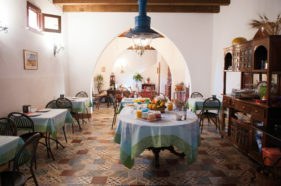 The breakfast buffet with ricotta cakes, fruit pies, organic juices and jams, 'pane cunzato' and sfincione is served in the majolica parlor and served in the courtyard. 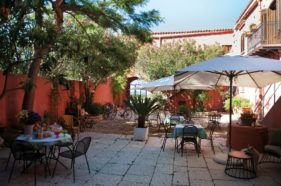 In the garden, you can taste our wines and typical products of the baglio shops. Inside the B&B there is a shop dedicated to the sale of meats, cheeses and local meats, with a wine bar that offers a wide selection of wines and a bar with pastry and homemade ice cream parlor where you can taste the local specialties. 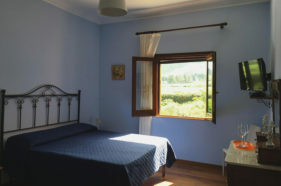 The rooms, located on the first floor, are furnished with original furniture of the baglio and are equipped with private bathroom, air conditioning, TV, Wi-Fi, hairdryer and complimentary toiletries.